An Abuja High Court on Wednesday struck out the case against Rep. Ndudi Elumelu and two former members of the National Assembly over a N5.2 billion fraud. 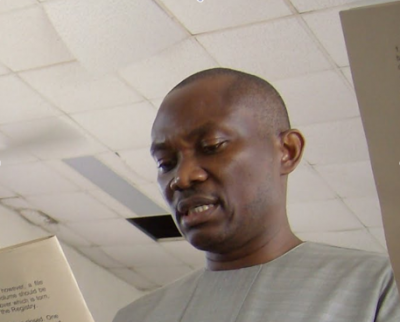 The Economic and Financial Crimes Commission (EFCC) had instituted the case against Elumelu and Nicholas Ugbane, a former Chairman of the Senate Committee on Power, and Jibo Mohammed, a former member of the House of Representatives. The judge, Justice Mudashiru Oniyangi, ruled that the prosecution had not established a prima facie case against the accused to warrant their trial and subsequently discharged them. “I exercise the court’s discretion in favour of the accused for want of a prima facie evidence, and the charges are hereby struck out and the accused persons discharged,” the judge said. He said the prosecution was absent and there was nothing to explain his absence. The EFCC had accused the three of breach of due process, criminal conspiracy, diversion and misappropriation of public funds to the tune of N5.2 billion. The accused were initially arraigned on Oct. 30, 2009 on a 130-count charge with six senior officials of the Rural Electrification Agency. The charges were subsequently separated with the lawmakers jointly facing a 62-count charge and the other six accused facing 68 charges. On Feb.1, the EFCC had re-arraigned the accused following the re-assignment of the case due to the withdrawal of the trial judge, Justice Adebunkola Banjoko.